Colombia is in the process of ending a civil war and is taking steps towards social stabilization after many decades of violence. Along with this, changes within the agricultural sector have led to important socio-economic development throughout the country. The majority of Colombia’s farmland is still used as permanent pastures (92%). While only 4% of the nation’s agricultural land is actually used for permanent crops, the major crops being coffee, corn, rice, sugar cane and bananas. According to the latest agricultural census, 70% of total farmland is less than 12 acres in size and 83.6% of farmers don’t have any machinery. Graph 7. Distribution (%) of UPA in the dispersed rural area census with machinery possession Image sourced and translated from: DANE-CNA 2014. Like many other traditional farming nations, Colombia faces the dilemma of urban migration within the millennial generation. Currently, only 23.6% of the population reside in rural areas. With the youth choosing not to dwell in farming communities, the countryside’s ageing and declining farming population have led Colombian authorities to consider what they could do to increase agricultural productivity. Against this backdrop, they have turned to technology, specifically, GM crops to resolve their concerns of a declining agriculture sector. Since 2003, Colombia has utilized agricultural biotechnology through genetically modified (GM) cash crops. With the introduction of this technology and the accompanying cropping practices, there have been economic and socio-environmental benefit gains. 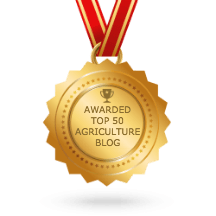 The Brazilian agribusiness consulting firm, Céleres, in fact, has analyzed Colombia’s GM crop benefits between 2003 and 2015 and its findings are shared in this post. Genetically modified cotton was introduced during the 2003/04 crop season. 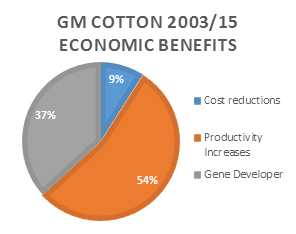 By the end of the 2014/15 season, the aggregated economic benefit of GM cotton totalled $134.1 million USD. Of this, 63% (US$84 million) went to Colombian producers in the form of cost reductions (US$12 million) and productivity increases (US$72 million). 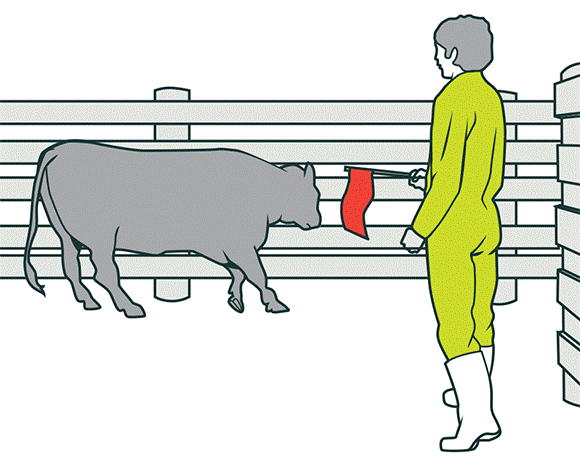 The remaining 37% accrued to the gene developer, or US$49 million. Reduced water consumption by 119 million litres, or enough for 2.7 million people over that same 12 year period. Reduced diesel use by 1.8 million litres, or equal to taking 735 trucks off the road over that same period. The reduction of diesel has resulted in 4.7 million fewer tonnes of carbon emissions, equivalent to preserving 34,500 trees. 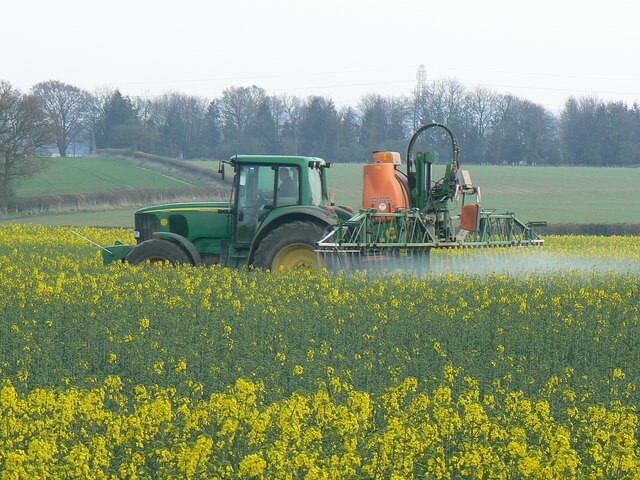 It also resulted in 66 fewer tonnes of agrochemicals used since 2003. During the 2007/08 crop season Colombia first adopted GM corn, and over the course of 8 years has generated US$78 million in producer gains and US$26 million for the gene developers. In addition to financial gains, two fewer agrochemical applications are required in production, thus saving 240 litres of water per hectare each year. The total economic benefits of Colombian’s adopting GM cotton and corn up to 2015 has been US$238 million. Two-thirds of these benefits have gone to the farmers adopting the technology. Colombian farmers perceive both direct and indirect, economic and environmental advantages from the use of GM crops. Farmers have also recognized the capacity of this technology to generate benefits throughout the value chains of cotton and corn. The adoption of GM crops such as cotton and corn are the tipping point of accepting modern farming practices and open up the opportunity for industrial involvement to build Colombia’s agricultural value chains. To do so the Colombian authorities will need to continue to provide ag-biotech with favourable institutional and regulatory conditions for the investment and R&D of new technologies tailored to Colombia to exist. The existence of these favourable conditions is essential so that the rate of investment continues to increase and satisfy the expectations and needs of Colombian farmers. According to Céleres Colombian farmers are satisfied with the use of agricultural biotechnology, both from GM cotton and corn. These Farmers consider access to these agricultural technology provides agronomic advantages, despite the need to adjust crop management practices to accommodate the new technology. 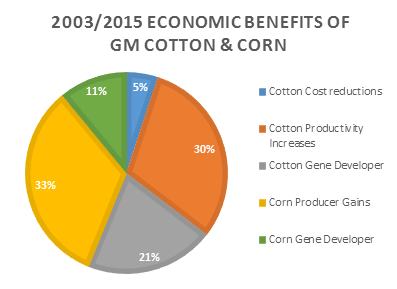 Colombian farmers continued to use GM technology as it not only reduced both costs and labour intensity, it offered a greater yield guarantee that was worth the investment in the technology. Most importantly, Colombian farmers feel that the country possesses the necessary conditions to expand agricultural production through the adoption and use of technology to gain domestic and foreign opportunities.